Do you know how long the American Bullies live? The average lifespan of the American Bully is 12 years, which is shorter compared with other dog breeds. The other dog breeds can reach up to 15 to more than 25 years. The American Bullies are good companion dogs, which is the reason why it is heartbreaking to see them go when they have to. We can only do our best to take good care of them to ensure that that they will reach their maximum age, more than what is dictated. Although we cannot control the deaths of every creature in this world, we can just take out all the possible factors that can shorten the life of the living creature entrusted to us. There is always a misconception between the American Bully and the pit bull. 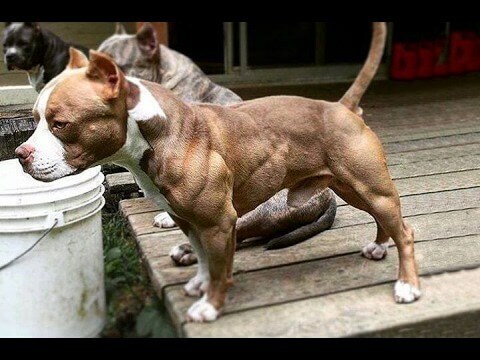 Although they have a pit bull blood in them, they are a separate breed. 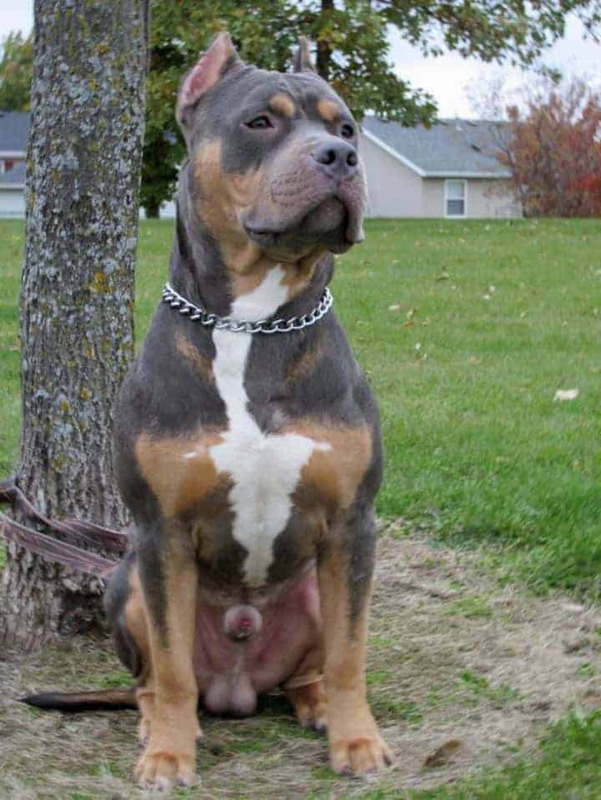 The American Bully and the pit bull are often ditched by dog lovers because of their aggressive temperament. Some of them end up living in an animal shelter or being abandoned on the street, which is the worse part. What they do not know is that the American Bully is a peaceful and protective animal. They do not attack for any reason unless there are threats to them or to the ones that they protect. The American Bully puppy should visit the veterinarian on a regular basis to have them checked out and vaccinated. The puppies should visit the veterinarian more often because of the series of vaccinations that are commonly done in a three-week interval. It should start with a seven-way shot. In some places, this seven-way shot is often applied with the corona vaccination. Vets commonly apply the seven-way shot when the puppy is five weeks old. When the puppy is six months old, the vet will give it a rabies vaccination that is repeated every three years. When the puppy is one year old, a booster will be applied. At this stage, you should see your dog’s vet every three months to check for worm infestation. Checking for further health issues is another reason why you should visit the vet. It is to ensure that your dog is healthy and free from possible health problems in the future. Here are the common health problems that you should watch out for. The American Bully breed is prone to flatulence. It is easy to feed them with food that will make them gassy. This condition is not healthy because it is an indication of the dog’s improper eating habits. You may be feeding it with unhealthy food or any food that it is allergic to. For American Bullies that are under 1 year of age, you should provide them with proper nutrition that will help them grow into a healthy adult. 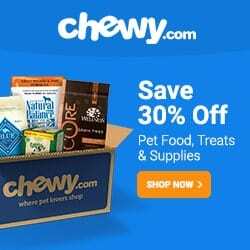 The proper formula for an ideal dog food consists of 30 percent protein and 20 percent fat. You may also add some frozen foods to their diet if you want to. 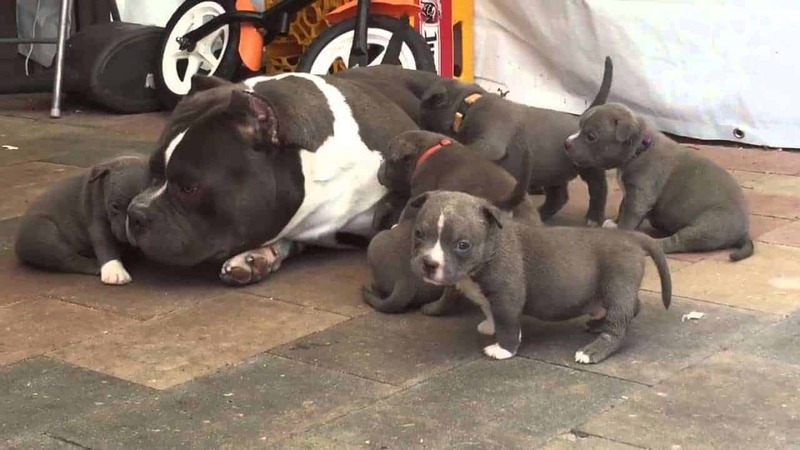 Commonly, there is no restriction on how much you can feed the American Bully puppies. In fact, you can let the feed as much as they want. However, do not force them to eat if they do not want to. After one year or 18 months, this is the time when you should change the feeding pattern. You should feed your dog twice per day. American Bullies are working dogs. For this reason, there is a lot of energy pent-up in them. They can release this energy through a daily dose of exercise. Therefore, you should find time to walk your dog every morning or have your dog jog with you when you do your daily exercise. Your dog will feel bored if you fail to do this activity. A bored dog will become frustrated and will turn to become destructive, which is something that we do not want to happen. Dogs are naturally sociable just like humans. Teach them how to interact with children and other dogs. Do not teach your dog to play bite especially with children. At a young age, teach them how to treat the right people well. When they grow up, they will become affectionate dogs. American Bullies are highly intelligent creatures but do not expect them to comprehend as humans do. For this reason, you need a lot of patience in training your dog. Do not punish its wrong actions by hitting because this way is ineffective and will only hurt it. The good news is that you do not have to spend much of your time grooming your American Bully because of its short hair. The only drawback of this benefit is that it tends to feel cold easily because of its short hair. For this reason, you should dress it up with a doggy jacket when winter comes. I hope you have enjoyed reading this article and you’ve learned new information. 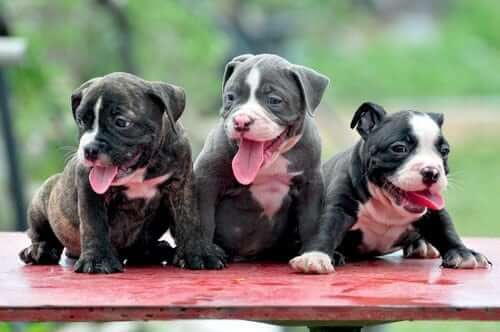 Although there is nothing that we can do to control how long do American Bullies Live, we can only take good care of them to make sure that they will reach the maximum age that they can live. We want them to live for as long as they can to keep us company. For this reason, we should take advantage of the time that they are with us because their time is short. If you have further ideas and suggestions, please comment below. If you love reading this article or if you find this article useful, please share to your friends. Previous articleAll About Metacam: How Long Does Metacam Stay in a Dog’s System? Next articleFun Facts About Dogs: Why Do Dogs Try to Bury Their Food?